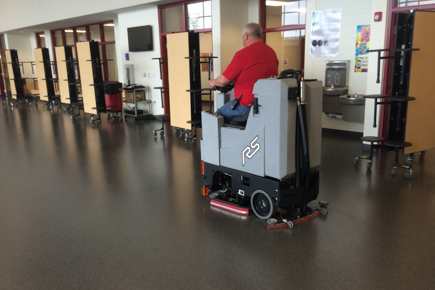 Clean your School Lunchroom's like never before! 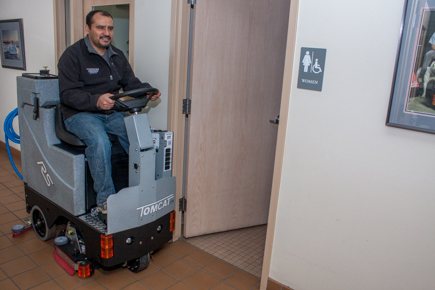 This MicroRider can handle even the larger of rooms with ease! 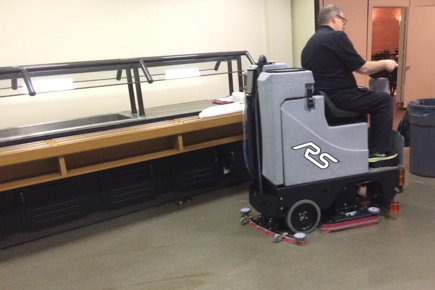 With the RS MicroRider cleaning large open areas and getting through doorways has never been easier! Small Business areas like this Buffet Line need powerful machines to daily clean their floors from dirt and debris caused by food. 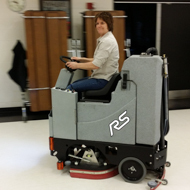 Need a better machine to clean your hallways and rooms with? 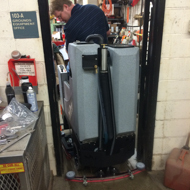 This RS MicroRider Commercial Scrubber is just what you need! 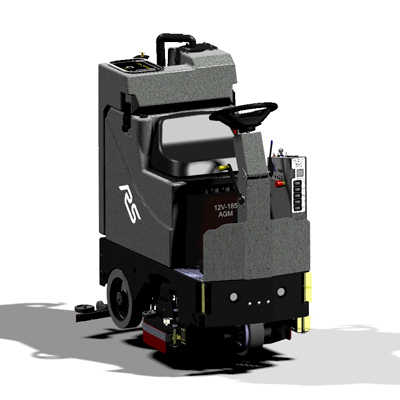 The RS Scrubbers offer the great productivity of Rider machines but with better manoeuvrability than Walk Behinds. 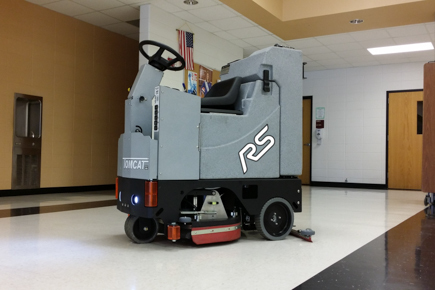 The RS Floor Scrubber Dryers have a powerful drive motor that can climb steep ramps and comes standard with heavy duty tires. Features of the drive system include: automatic parking brake and reducing of transport speed while scrubbing or reversing to maintain life of the squeegees. The Central Command systems on our RS Rider includes: Battery Hour Gauge, Brush Amp Gauge, and 5 different Hour Meters. 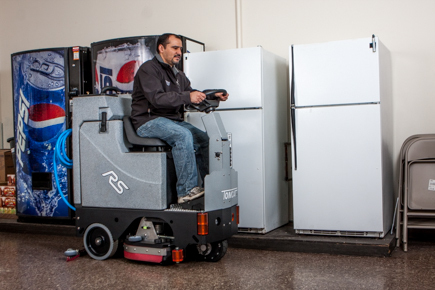 Also, if machine batteries become too discharged, the scrubber dryer automatically shut down all systems except "transport", enabling the operator to still make it back to the charge station. Dimensions (L x W x H): 48" x 24" x 55"
Disk Brush Size: (1) 20", (2) 13", & (2) 14"
Cleaning Width: 20", 26", & 28"
These images demonstrate how applicable the Tomcat RS MicroRider Scrubber Dryer really is. 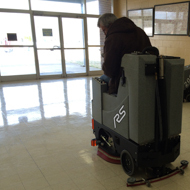 From being used in Small Commercial Auto Shops, School Building VCT Floors, and Corporate Headquarters, these machines are tough and can handle anything you can throw at it!